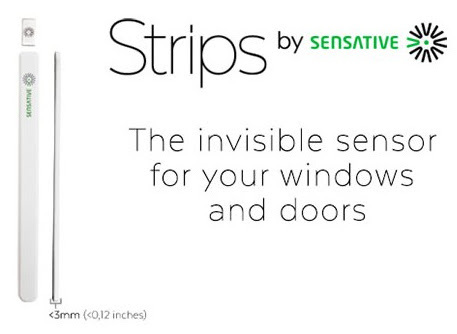 The Strips from Sensative is a wireless magnetic sensor for doors and windows and thinnest of its kind in the world! It is so thin that it can be mounted invisibly on most doors and windows. The Strips uses a magnetic sensor for detecting whether a window/door is open or closed. With Strips on each door and window you get a complete perimeter protection. With Strips you can easily check that all windows and doors are closed and it alerts you if something unexpected happens and it is connected with other devices of your smart home using the Z-Wave technology.